New Look Same great product! 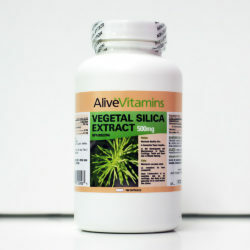 are experiencing brittle nails, skin that is looking sad, or have had a bone fracture you are in desperate need of the well respected Alive Brand Vegetal Silica that does wonders! 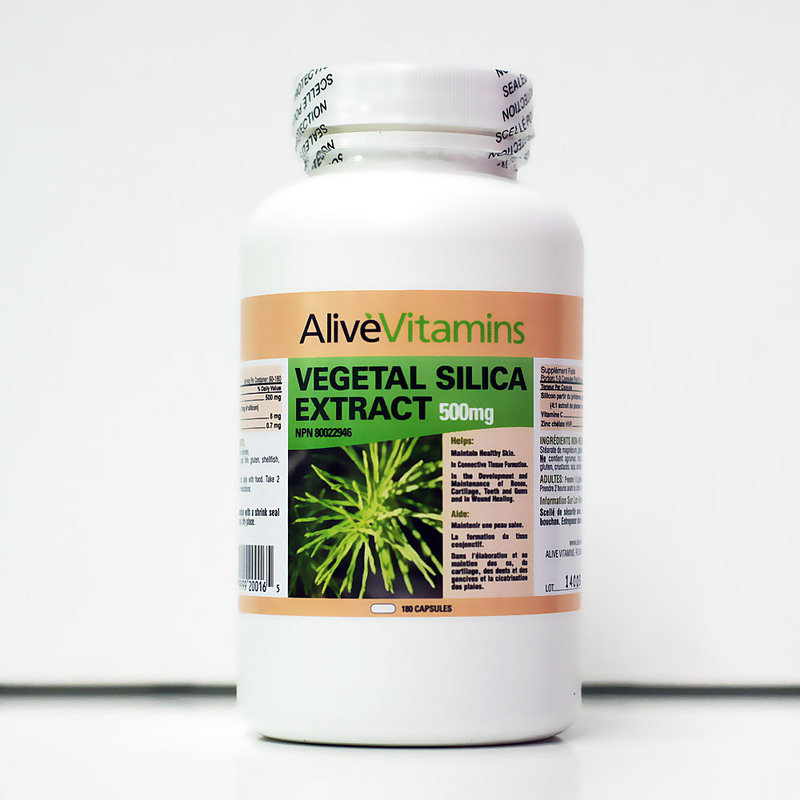 What is Vegetal Silica? It is an extract of the herb known as horsetail and it has been shown to significantly improve the conditions listed above. You cannot see bone loss, but Osteoporosis is running rampant among women in North America. Don’t wait until it is too late; take silica BEFORE the fracture happens! It works well with the Alive Coral Calcium as silica helps enhance the absorption of Calcium! The Alive brand of silica is an excellent choice for those who need a convenient small capsule that is easy to travel with and has excellent absorption. It’s time to PREVENTfractures, increase bone density, increase the speed of healing broken bones, improve hair, strengthen nails and find the lustre in your skin tone again due to Silica’s ability to help the body produce COLLAGEN (the glue that holds you together keeping you YOUNG)! This is a product you won’t want to miss out on! Is is safe for young girls with hair loss to take this product?